We are a leading contractor in the asbestos removal and asbestos management industry providing a service that is paramount in comparison to our competitors and one of which we can be proud. Our head office is located at the centre of the UK’s transport system being well positioned for the A38 and both M1 and M6 motorways. We also operate a network of field staff who provide a national 24-hour call out and technical support service. 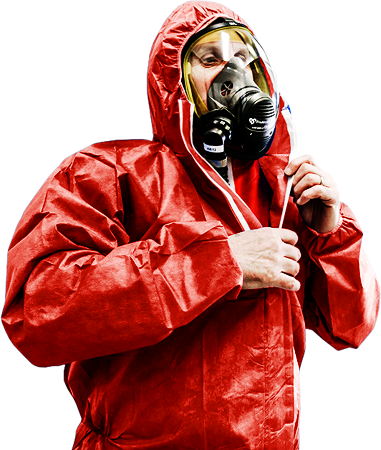 As well as offering fully licensed and insured asbestos removal services, we also provide technical advice and consultancy services. This includes asbestos material surveys (types 1, 2 and 3), risk assessments to the HSE format and asbestos management plans. Our senior staff are always pleased to discuss asbestos related issues on a free of charge, no obligation basis. Health and Safety Scheme – CHAS and the Safecontractor and our commitment to both safety and quality is recognized by membership of pre qualification schemes such as The Utilities Vender Database – UVDB and Constructionline. Call us 24 hours a day on 01283 517374 and a representative will be on hand to deal with any situation, alternatively click here to email us via the website. Our employees are highly competent and trained to ARCA (The Asbestos Removal Contractors Association) standards. We hold a Health and Safety Executive licence for work with all forms of asbestos containing materials and carry relevant Environment Agency registrations. Burton Environmental Services is located at the centre of the country’s transport network and we offer a national 24 hour call-out and technical support service.